You're Going Through A Tough Period. No, Start Yelling Or Crying Is Not The Solution. Neither is pills or other methods that may put your health at risk- why don't you try something easier instead? Imagine yourself at work. You're furious, and you wish there would be something in this world, something small and mighty that could put an end to your excessive anger. And there's where our company comes in; it's going to provide you with a dna stress balls sets, including 3 squishy, juicy, stress-relieving balls! Keep them in your hands and keep squeezing- what else do you need? Because Those Balls Deserve To Stay In Your Hands For A Lifetime. Sick and tired of all those stress balls that fell apart after a couple of times using? Thanks to our ball's durable construction, you can keep squeezing without any restriction- the heavy-duty membrane will keep all those little rubber balls together, no matter what. The risk-free construction, free of chemical odors and dangerous substances, is going to offer you an exceptional experience- keep squeezing without having a single care in this world! You Love Your Friend, And You Wish The Best For Him. That's why you want to offer him an intimate gift that is not like others- OK, perfumes or clothes may seem fancy, but you know he needs more than that. 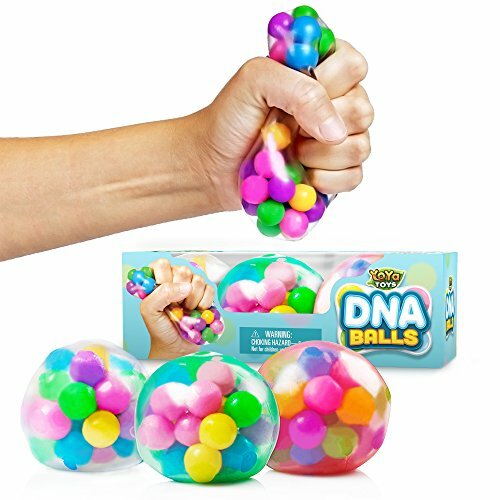 What about a dna stress relief ball that will let all of his tension go? Don't waste your time- put a smile on your beloved faces today! Feel Calm Again. Order Your DNA Stress Relief Ball Today. THE HIGHEST QUALITY THAT YOU DESERVE: Remember that old stress ball of yours that popped out after a couple of times using? Alright, that was the end of an era. Now you are given the chance to have something sturdy and durable, something that you'll keep for a lifetime! Our heavy-duty membrane is going to hold all those small rubber balls safely inside, while at the same time you can keep squeezing over and over again! DO IT THE SAFE WAY: We know- that ball will end up in your kid's hands sooner or later. That's why we have placed special emphasis on producing a safe, risk-free ball, using the best materials possible. Forget about chemical odors, or that disgusting, sticky feeling; now you are given the chance to squeeze your ball without having a single care in this world! RELEASE YOUR STRESS: Hard day at work? No, start yelling is not the solution. Take a deep breath and relax- all you need to do is to take your squishy ball out of your pocket. Release all of your tension at once- a must-have accessory for all those people that are dealing with stress and anxiety every single day. A perfect tool for people who're dealing with ADHD and autism, or for those who want to give up on their bad habits, like smoking. SQUEEZE ON THE GO: You're on the metro. You're feeling super stressed because a difficult day has just started. Don't panic- take your stress relief ball out of your pocket and start doing what you know best- SQUEEZING! A lightweight and compact 3 pack set that is going to blow your minds off- no matter where you are, squeezing is always part of the plan. WE GUARANTEE YOUR SATISFACTION: We want our clients to be happy, so just in case you feel disappointed with your purchase, we guarantee to give your money back instantly, 30 days after your purchase. Providing our customers with the highest quality possible, is our main priority and our number-one goal. If you have any questions about this product by YoYa Toys, contact us by completing and submitting the form below. If you are looking for a specif part number, please include it with your message.